Searching for coupons online, but not sure where to look or who to trust? There are lots of coupon websites out there, but some are unreliable, hard to navigate and filled with useless coupons. Skip all that drama, and check out these trusted coupon sources. There's no need to mess with a big pile of paper coupons anymore. Technology has done wonders for savvy shoppers, and now you can simply load coupons onto your cellphone or grocery store card. Electronic coupons are easy and paperless, so they save you time and prevent unnecessary waste. It can be a challenge at first, but once you get the hang of the system, you'll realize that it's a couponers dream! Make a list of all the products that appear in your pantry and medicine cabinet on a regular basis. Then, head to each manufacturer's website in search of coupons. Many companies have coupons that you can print directly from their website. Others will reward you with coupons if you sign up to receive their e-newsletter. Betty Crocker - includes General Mills and many other popular brands of food and personal care products. If you don't want to print coupons, they also offer the option of adding them directly to a store loyalty card. Organic Grocery Coupons - Here's a giant list of organic product manufacturers that offer coupons. Pro Tip: Sign up for a free email account via Gmail or a similar service. Then, use that address for all of your bargain-hunting endeavors, so your primary inbox doesn't get clogged with a bunch of offers and junk mail. Remember to check you inbox regularly and before each shopping trip, so you don't miss out on any offers. You know those SmartSource and RetailMeNot Everyday coupon inserts that come in the Sunday newspaper? You can get them online, too; so don't sweat it, if you don't get the paper. SmartSource - print coupons, or send them directly to one of your store loyalty cards. RetailMeNot Everyday (formerly Redplum) - these can also be printed, or downloaded to the store loyalty card of your choice. Pro Tip: Cut out your favorite coupons from the newspaper. Then, go online to print additional copies. You can usually print each coupon twice. Grocery stores are making it easier than ever to coupon. Visit the website of your favorite grocery store, and you're likely to find loads of coupons to print or download. Many stores even allow you to apply these coupons to pickup or delivery orders. Pro Tip: Find out if there are any grocery stores in your area that double or triple coupons. If they only do it on certain days, mark your calendar, so you'll know when to shop. The big drug store chains also offer printable and digital coupons on their websites. Some even offer exclusive deals. Pro Tip: Sign up for the store's loyalty program to receive even more coupons and discounts. Many will tailor your coupons to items you've purchased before so you're sure to get coupons you can actually use. The Proctor & Gamble company owns many of the most popular brands of home and personal care products, including Pampers, Pantene, Crest and Charmin. Your home is probably full of their products. Check out the P&G website for their latest coupons. .While you're there, be sure to sign up for the P&Geveryday program. This will give you access to more coupons and samples. 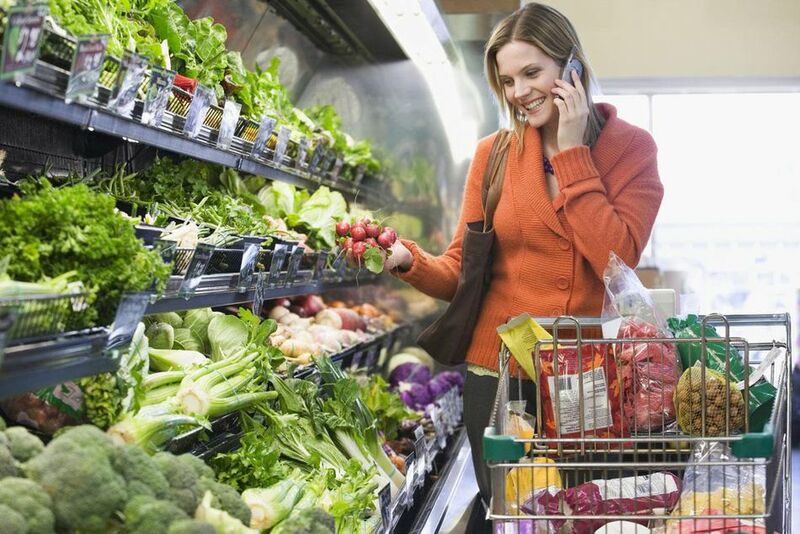 Use your cellphone to save even more at the grocery store. Download the Ibotta and Checkout 51 apps to earn cash back on some of the products that you buy. In many cases, you can even stack these cash back deals with coupons and sales to turn your purchases into money makers. Doesn't getting paid to shop sound like lots more fun than paying to shop?